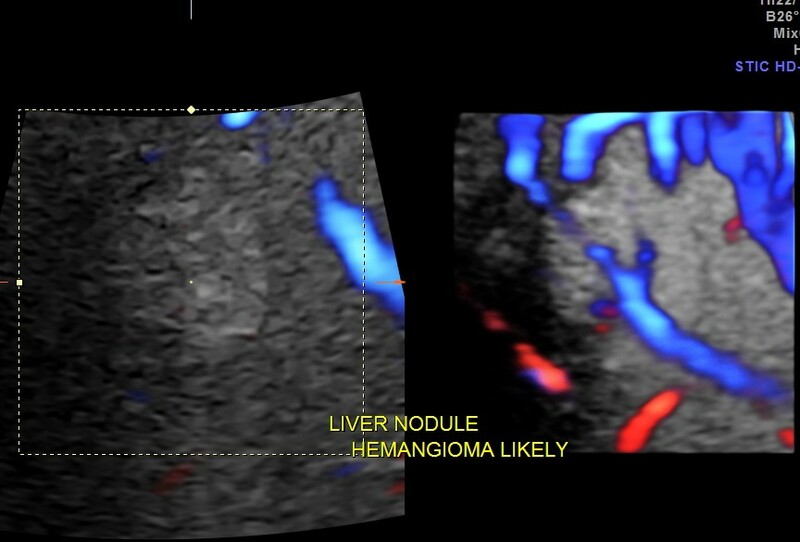 Hemangioma of the liver is generally an innocuous incidental finding . 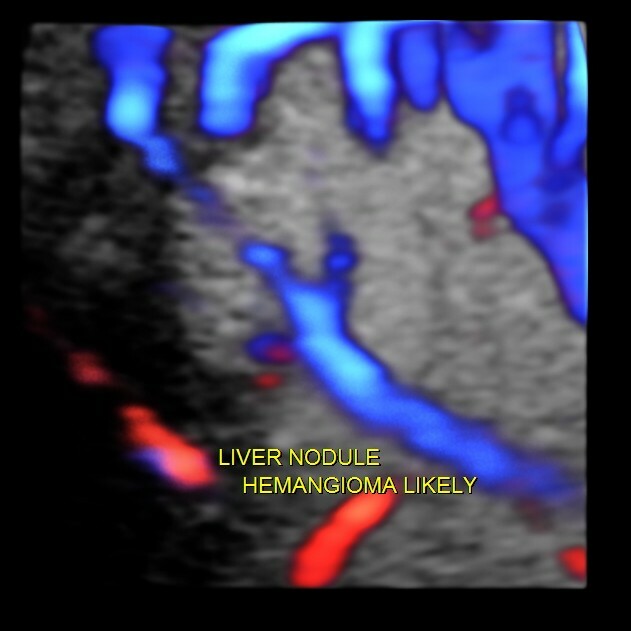 At times the differential diagnosis considered would include a solitary secondary nodule. This would require further imaging investigations like CT and MRI. Colour and Power Doppler could be helpful in demonstrating the feeding vessel to a hemangioma , but is very difficult to demonstrate at times. 3D 4 D glass body reconstruction could help in demonstrating the feeding vessel. This was a 60 year old gentleman who was being evaluated for dyspepsia. The pictures and the video are presented to show the clarity with which glass body reconstruction demonstrates the feeding vessel . some references are given below. Very good, thanks for these information !